Source: The LIGO Scientific Collaboration, the Virgo Collaboration. 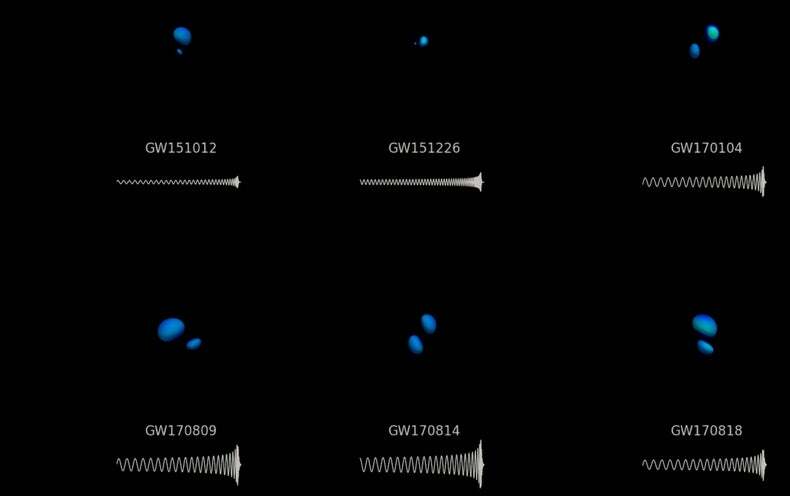 GWTC-1: A Gravitational-Wave Transient Catalog of Compact Binary Mergers Observed by LIGO and Virgo during the First and Second Observing Runs. arXiv, 2018.